Every summer, you hear the stories about young children who died because their parents left them in a sweltering hot car. And you think, "I would never do that!" But it's easier than you think to forget your child in the backseat. 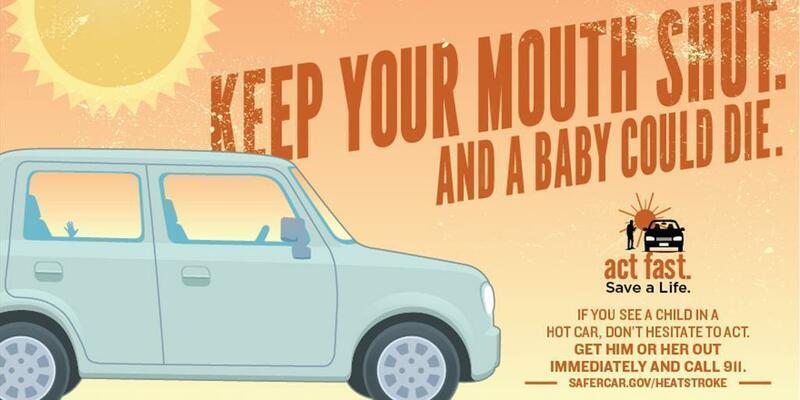 Heatstroke is the leading cause of non-crash-related fatalities for children 14 and younger, according to the National Highway Traffic Safety Administration. And of the 700 children who died from 1998 to 2016 due to vehicular heatstroke, 54 percent (or 376 children) were forgotten by a caregiver. It's also easy to say, "But I'm just going inside for 10 minutes!" Well, the temperature in a car can rise by 20 degrees in just 10 minutes. Even on a mild 70-degree day, that would get your car up to a sweltering 90 degrees. On NHTSA's website, you can read the story of Raelyn Balfour, whose 9-month-old son Bryce died after she forgot him in the car on a day that was only in the mid-60s. Keep a stuffed animal or other memento in your child's car seat when it's empty, and move it to the front seat as a visual reminder when your child is in the back seat. If you happen to see a young child left unattended in a car, take action! If the child is not responsive or in distress, call 911 right away and get the child out of the car. If the child is responsive, stay with her until help arrives and have someone else search for the driver.